San Diego fans were bitter when the Chargers headed north earlier this year. Fans burned team gear and vowed never to support the team again. But mere months later, the Chargers are experiencing a renaissance. In ticket prices, anyway. 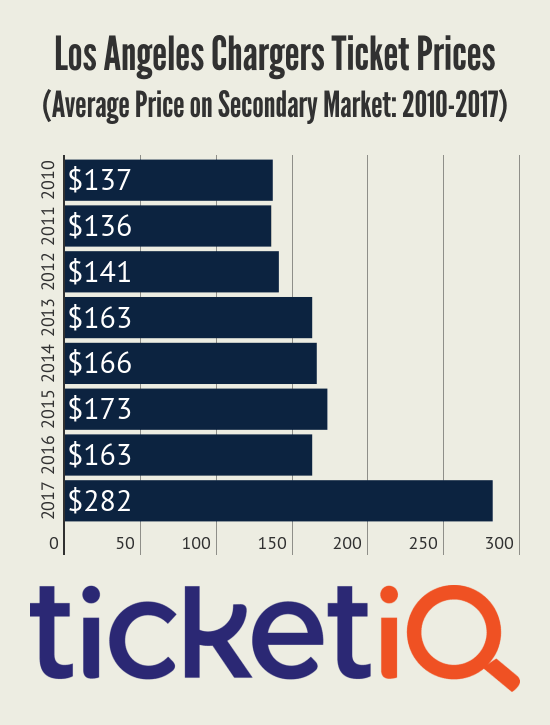 Between 2010, when TicketIQ.com started tracking data and 2016, the average price of Los Angeles Chargers tickets never really came close to breaking the $200 barrier. But through 12 games this season, the average price of a ticket to see the Bolts is a whopping $282. Inexplicably, the next most expensive season was 2015, when the Chargers went 4-12 and the average ticket price was $173. In 2016, the team’s last season in San Diego, the average price of a ticket was $163. This season, the Chargers share a 6-6 record with the Chiefs and Raiders, all of whom sit atop the AFC West. Their chances of getting to Super Bowl LII are 25/1, but it’s quite possible that the high cost of tickets has as much to do with the Chargers new temporary home field — the 30,000-seat StubHub Center in Carson, Calif. Home to the MLS Los Angeles Galaxy, StubHub Center is by far the coziest stadium in the NFL and offers fans a unique opportunity to be closer to the action. The small stadium and the Chargers having a .500 record for the first time since 2014 translates into the 10th most expensive ticket in the league through 12 games. 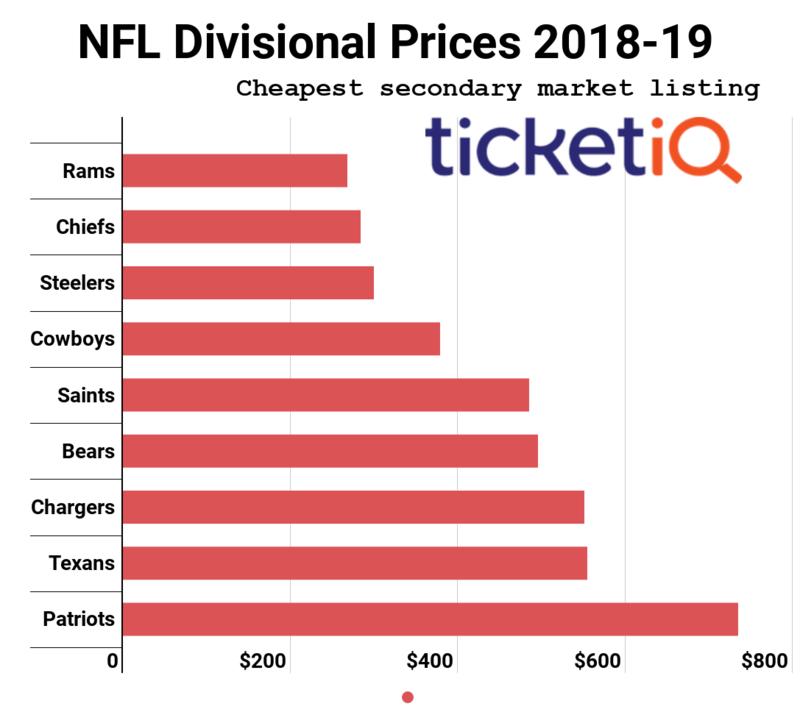 As of Dec. 7, the average asking price of a ticket to get into the Chargers game Sunday against the Redskins on TicketIQ.com is $212 and the average asking price for the final game of the season — a New Year’s Eve Day game against the arch-rival Raiders — is $406. Whether you want to snag a last-minute ticket for Sunday or find a great seat for the season-ending Raiders game, TicketIQ.com is your place to shop. Among the site’s Low Price Guarantee listings for Sunday’s game, you’ll find tickets in Section 236 behind the visitors’ sideline for $179 or 50-yard line seats in Section 132 for $332. For the Raiders matchup, Low Price Guarantee listings start at $316 for Section 226 (on the corner on the visitors sideline) and run up to $484 for seats a bit lower and a bit closer in Section 129.